Now in its 18th edition, Murabilia has reached so much interest that it has become a fixture in the calendar of events in the city of Lucca and has been followed, precisely because of its notoriety, by an increasing number of participants. Murabilia is so well known and taken into consideration that in a few years it has become one of the most frequented and attended Italian events dedicated to quality gardening. urabilia 2018 is a quality gardening market exhibition considered by many to be the main Italian exhibition concerning plants, flowers and gardening. At the disposal of countless visitors there is a detailed program, at the botanical and horticultural level, which includes not only interesting exhibitions but also workshops and conferences. 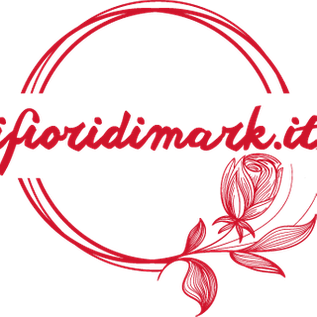 The exhibition-market takes place between the walls of Lucca, on the bulwarks San Regolo and La Libertà, for the third time in the second weekend of September, September 7th-9th, 8th, 2018. This exhibition also welcomes about 250 exhibitors and nurserymen from Worldwide. This year's theme of Murabilia, launched by Opera Mura, will be "a look at the East: Japan". It consists in the planning and construction of temporary gardens on the theme, aiming to exalt the culture of this country. This theme will focus in particular on the urban planning and landscape culture of the Japanese country, to promote the protection of the landscape and to ensure that citizens are increasingly aware of the issue itself. Participation is anonymous, and is open to many professionals such as architects, agronomists and landscape designers individually or in groups. In addition, a prize will be awarded to the gardening project, which will be approached in the most appropriate way possible to this country, said precisely because of its position to the east, the land of the rising sun. In addition, a special prize will be awarded to the most deserving garden. A very interesting curiosity is that this year there will be an exhibition in the exhibition dedicated to an international competition for temporary gardens. Furthermore, designers can choose between many types of plants in a very creative and autonomous way. the shape to be given to the designed garden and the materials that will be most suitable and congruent to the theme: the plants will have to highlight the Japanese cross culture that has not lost its Japanese component over time. Furthermore, each team must ensure that it can be set up within the established time frame and in accordance with the presented project. It must then be removed from the team again within the deadline. It is not allowed to plant on the ground or dig in any way. The organization also provides water and electricity for plants planted during its development.